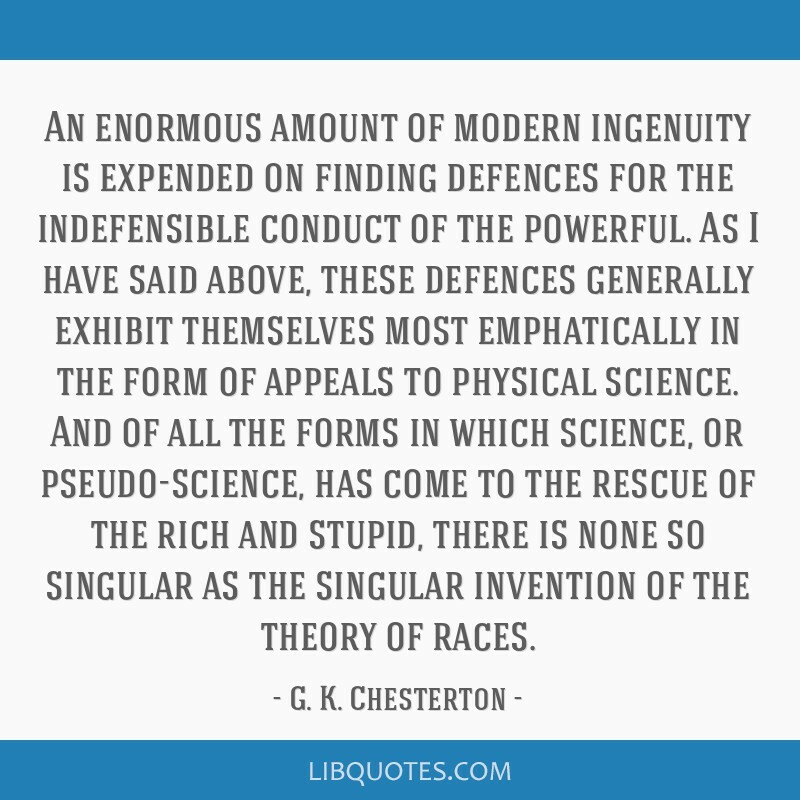 An enormous amount of modern ingenuity is expended on finding defences for the indefensible conduct of the powerful. 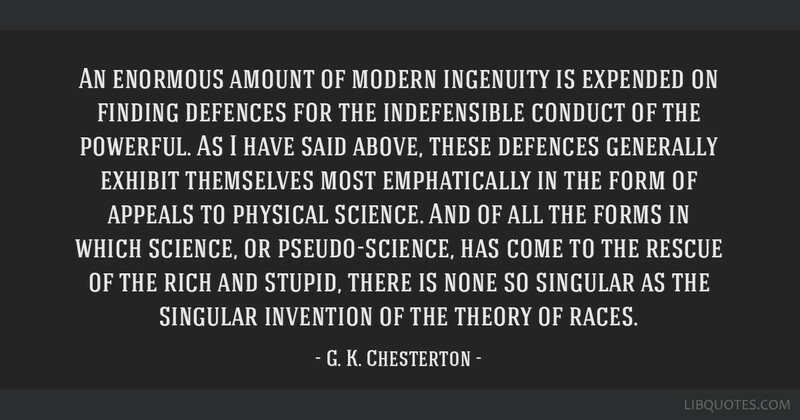 As I have said above, these defences generally exhibit themselves most emphatically in the form of appeals to physical science. 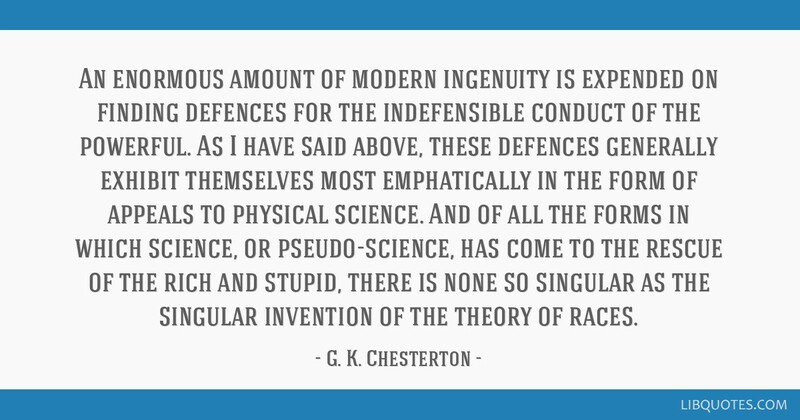 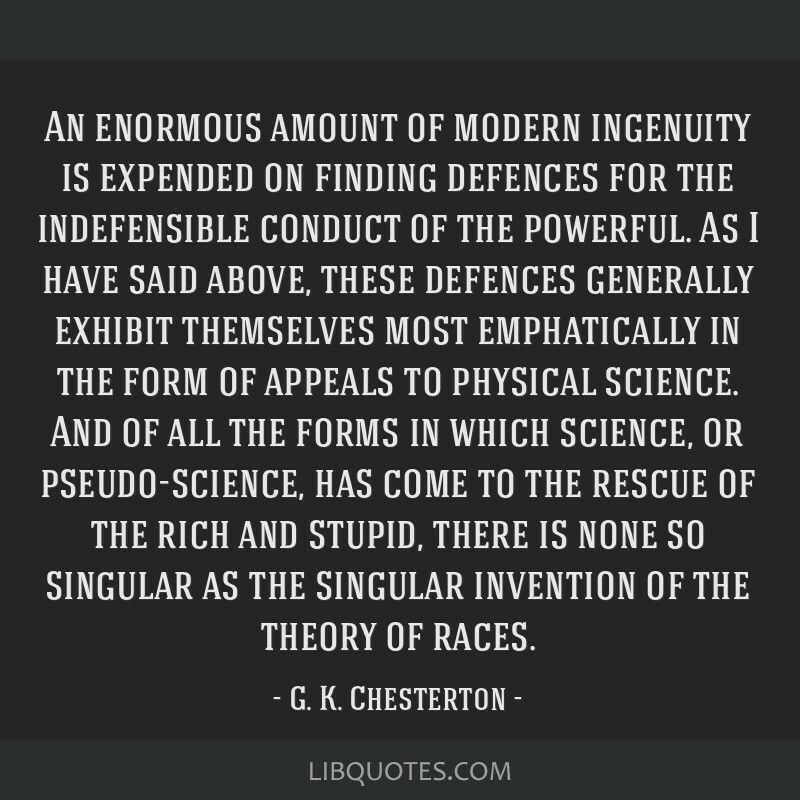 And of all the forms in which science, or pseudo-science, has come to the rescue of the rich and stupid, there is none so singular as the singular invention of the theory of races.